190 scientists from 39 nations submitted an appeal to the United Nations, UN member states and the World Health Organization (WHO) requesting they adopt more protective exposure guidelines for electromagnetic fields (EMF) and wireless technology in the face of increasing evidence of risk. International Agency for Research on Cancer (IARC) states radio frequency electromagnetic fields are possible carcinogens. Cell phone electromagnetic field (EMF) radiation may indeed be a cause for concern. And, once again, industry is crying foul! This time, it’s the cell phone industry! 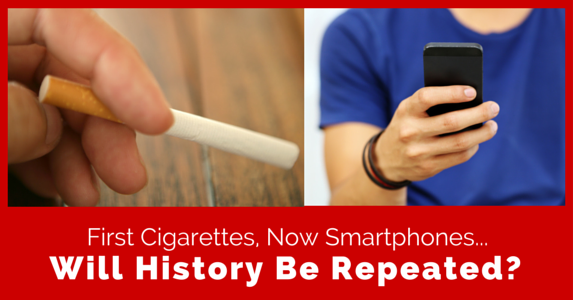 Like cigarette companies, industries that profit from cell and Wi-Fi connected devices are not about to admit their products represent a health risk. Industry supporters aim to discredit current international research, and claim it will take years of additional studies to determine if wireless devices truly pose a health risk. Bottom line, if the — we need more research — industry crowd is wrong, this — wait and see — approach could dwarf the impact smoking has had on a misinformed and overly trusting public. You can choose to become an informed consumer, and refuse to blindly trust that the wireless industry and politically influenced government agencies are watching out for your best interests. In addition to Dr. Blank’s book, there is a wealth of information available with a simple google search. You can also find a collection of notable information by following this LINK! You can also choose to refuse to ‘wait and see’ if exposure to ever-increasing amounts of EMF, EMR and Wi-Fi is safe. Keep it a minimum of 2” from your head, and use the speakerphone when possible. Make calls only when you have a strong signal. Limit use to brief conversations. Use Airplane Mode as often as possible. Don’t sleep with your phone next to your head, or carry it next to your body. Do Not allow children to use wireless devices! 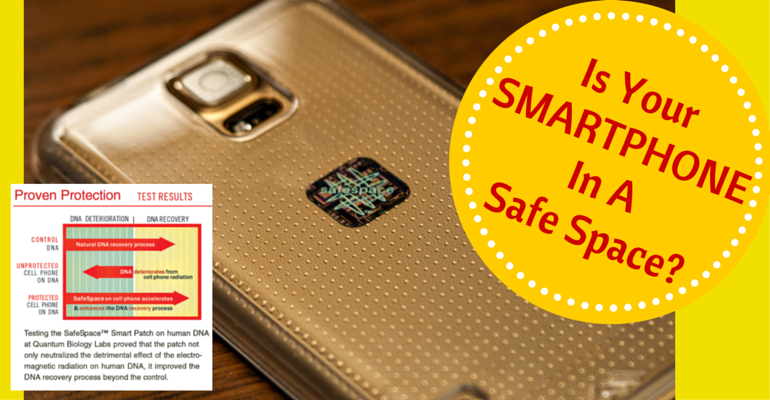 Finally, perhaps the most important step you can take towards protecting yourself is to minimize exposure to harmful EMF, EMR and WiFi by attaching a laboratory tested and proven SafeSpace Smart Patch to your smartphone! This result indicates that the harmful effect of the EM field from the cell phone is completely neutralized by the presence of the SafeSpace™. Of further interest is the comparison between the control and the treated cell phone. The result indicates that there is a statistically significant difference (p=0.014) between these conditions. These results demonstrate that the normal re- winding process is enhanced (steeper slope) when the DNA exposed to neutralized EM fields from the cell phone containing the SafeSpace™. This demonstrates that the energy from the SafeSpace™ has a beneficial biological effect on DNA. You must choose a side! Decide to play it safe with your health and the health of your loved ones by adopting a precautionary approach. Taking a precautionary approach does not mean abandoning your wireless devices. It’s not even necessary to limit your usage, or sacrifice performance and convenience. 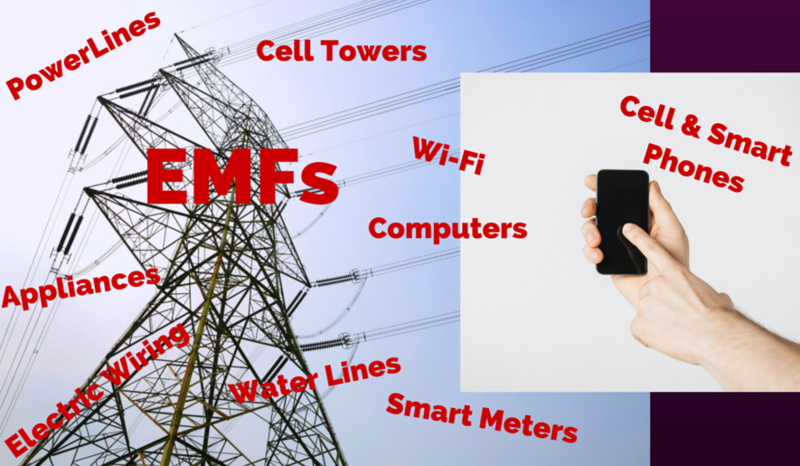 Proven, affordable SafeSpace products can curtail your exposure to the health risks of EMF, EMR, and WiFi. It’s an easy decision to make! Additional information on the SafeSpace Smart Patch is available HERE. 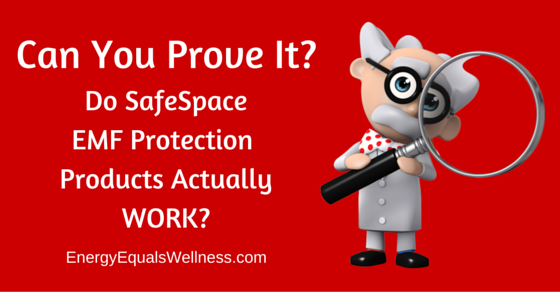 Information on the entire lineup of affordable SafeSpace products is available HERE.